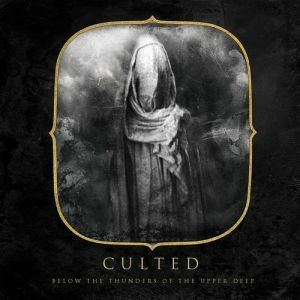 Culted’s MySpace biography makes much of the fact that the band’s impressive first full-length album is a “truly collaborative effort across international lines.” One can only hope for more musical cooperation in the future from the jointly Canadian/Swedish band. Below the Thunders of the Upper Deep is characterized as “blackened doom,” and whatever one thinks of such labels, the combination is certainly exciting here. Michael Klassen and Matthew Friesen’s dual guitars and bass work create layers of slow, sludgy chords that, with the addition of black metal-style melodies and tremolo progressions, create a steady and rhythmic audio stew that congeals around the listener. Kevin Stevenson’s drums are subtle, but it becomes obvious that his beats are central to the consistency of the sound. Lone Swede Daniel Jansson’s raspy vocals straddle the line between doom-like bellows and blackened shrieks, and his “ambience” contributions add subtle but vital aspects to the whole. If the record has a downside, it is that perhaps it is too consistent, too predictable. There is a certain lack of emotional punch that makes a great album leap from the CD player and burn itself into one’s head, leaving its branding to ache until one can’t do anything before listening again. There are so many moments on Below the Thunders of the Upper Deep that stand out while they’re being experienced, but it’s almost impossible to recall them clearly as soon as the music fades. 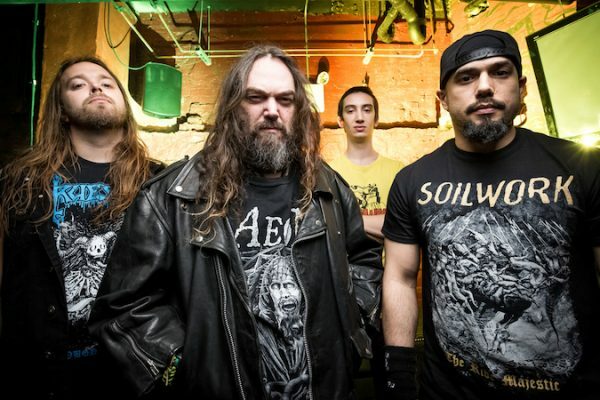 However, Culted have crafted a debut that will make you want to return to it for those moments. Making the jump from really enjoyable to completely infectious can come later.